Home NEWS Wainaina cautions Jubilee to be wary of Raila’s London gimmick. Wainaina cautions Jubilee to be wary of Raila’s London gimmick. Thika Town MP Eng. Patrick Wainaina addressing Jubilee supporters on Saturday during a presidential rally at Ndumberi Grounds, Kiambu. Looking on is President Uhuru Kenyatta. Thika Town MP Eng. Patrick Wainaina Wa Jungle has cautioned Jubilee Party supporters to take NASA presidential candidate Raila Odinga’s withdrawal from the October 26th race with a pinch of salt as all indicators point to a ploy. In an exclusive interview at Ndumberi Grounds in Kiambu Town after a campaign rally spearheaded by President Uhuru Kenyatta and his deputy William Ruto, Eng. Wainaina said that Raila’s appeal for people to fundraise his campaigns at Chatham House was reason enough to believe that he was in the United Kingdom to fundraise for his election as president, contrary to what he wanted people to believe that he was out of the race. He added that Raila’s refusal to sign IEBC’s Form 24A was another very clear sign that he was still in the race for State House. “If at all he is no longer in the race, why was he asking people at Chatham House to contribute money into their paybill account? Secondly, failing to sign Form 24A is like paying one’s creditors with a stale cheque,” said Wainaina. The legislator also reckoned that the opposition leader's tour abroad was aimed at convincing the international community to ‘midwife’ talks between him and President Uhuru Kenyatta with one eye at a coalition government just was the case in 2008. “Just as the president has said here in Ndumberi, we are not in any form of crisis as a country and all Raila wants is to use foreigners to get him into State House through the backdoor. Let me remind him that he can never be President of Kenya through any other means other than through the ballot which is the voice of the people of Kenya,” he said. 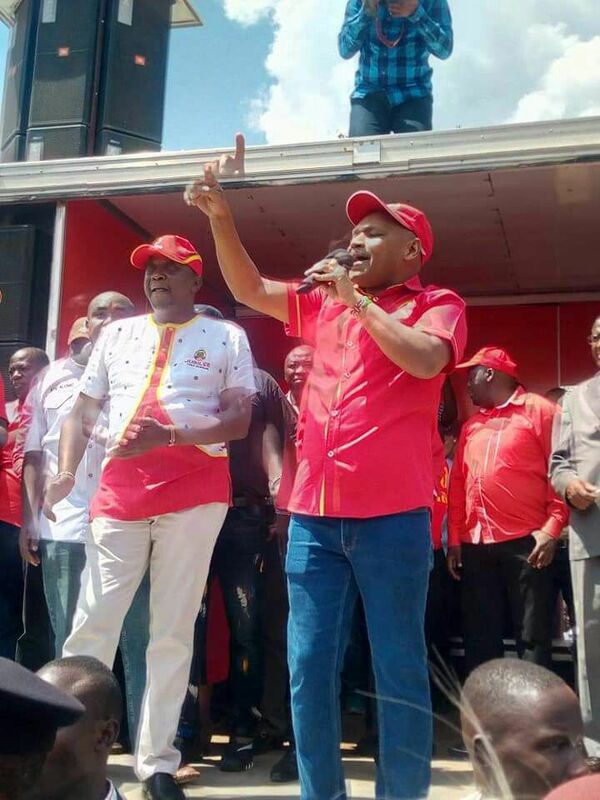 Wainaina therefore appealed to all jubilee supporters to get out on the 26th (of October) to vote for President Uhuru. He pleaded with ‘diaspora’ voters to vote for the president for it was through that route that he will be in a very opportune position to serve them better.